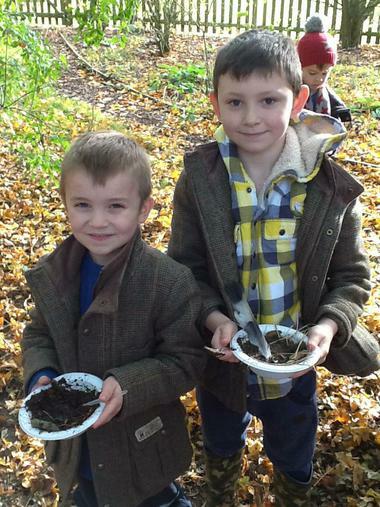 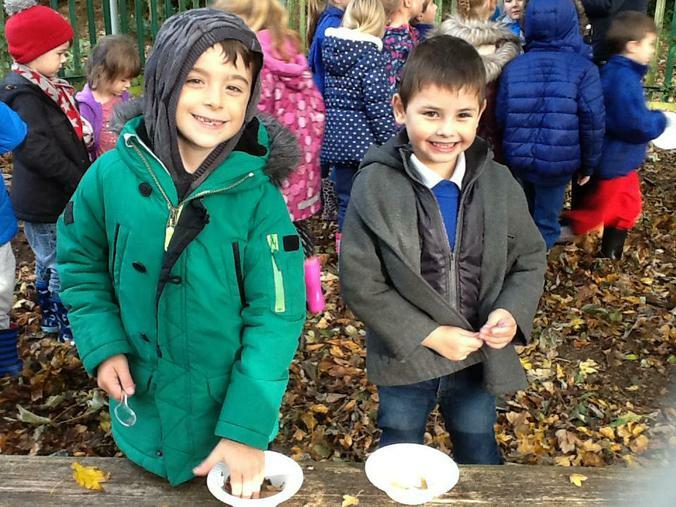 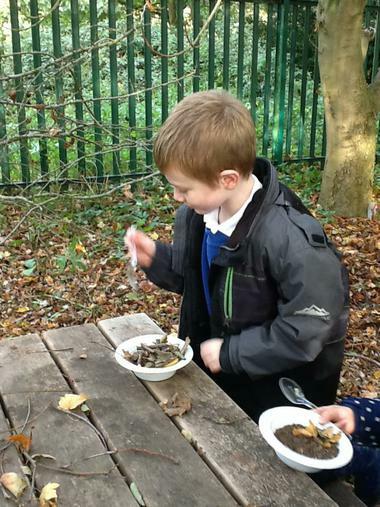 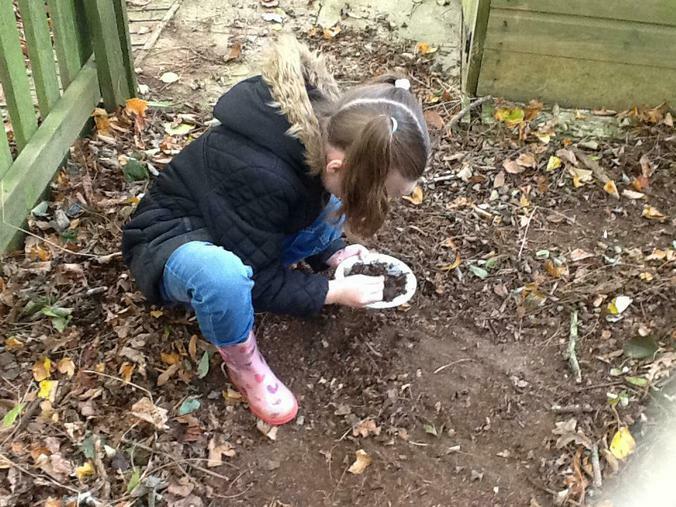 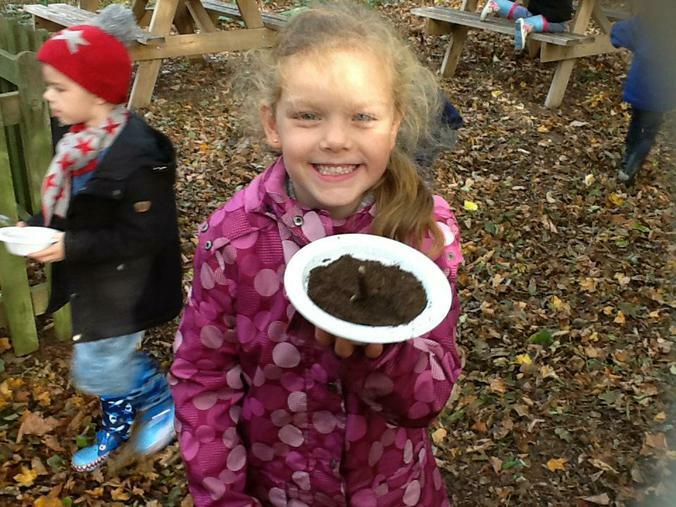 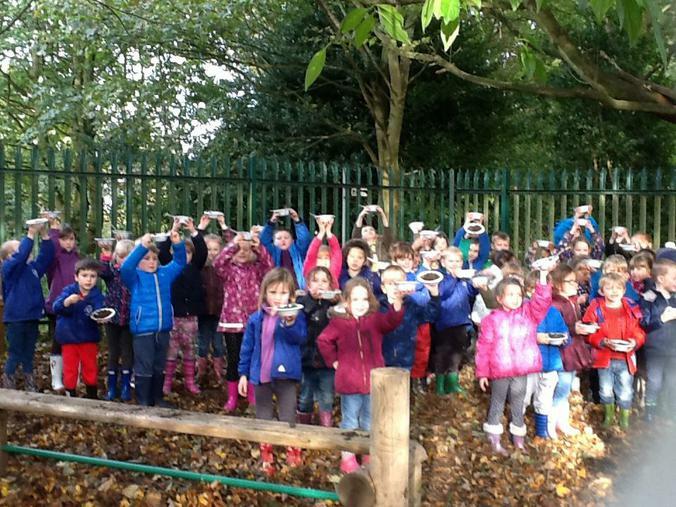 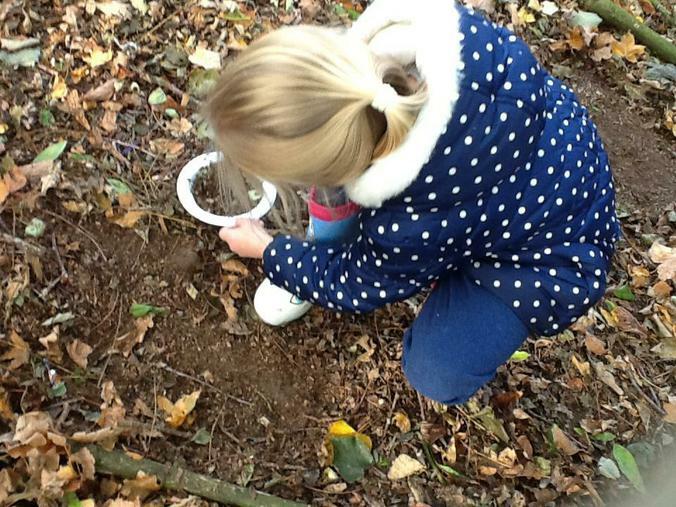 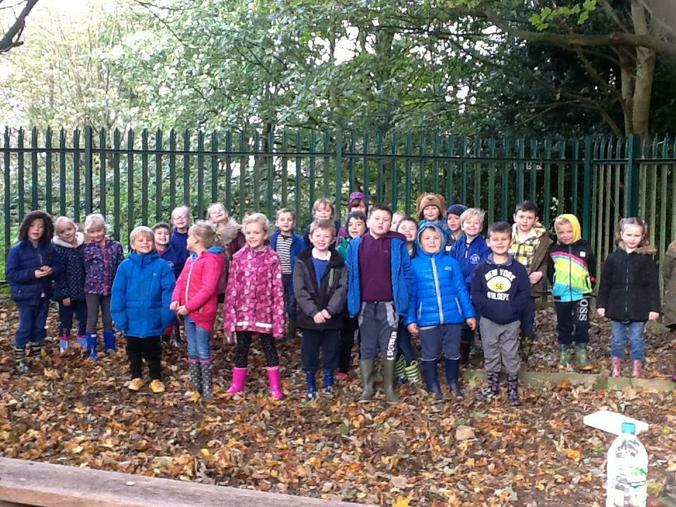 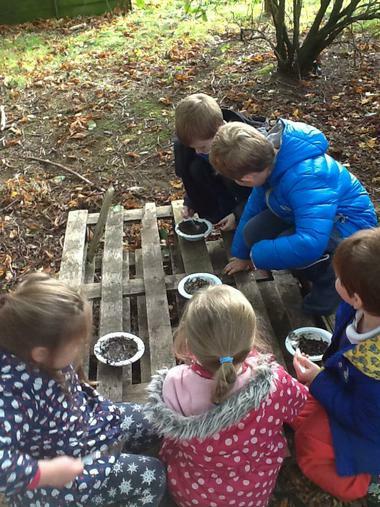 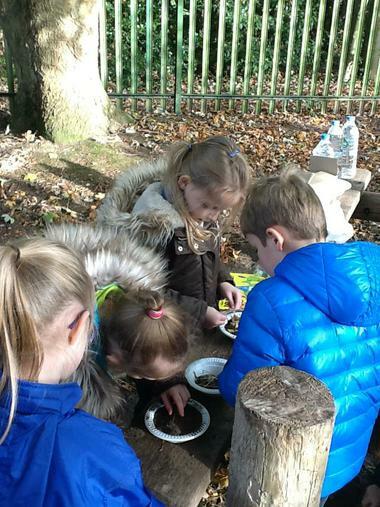 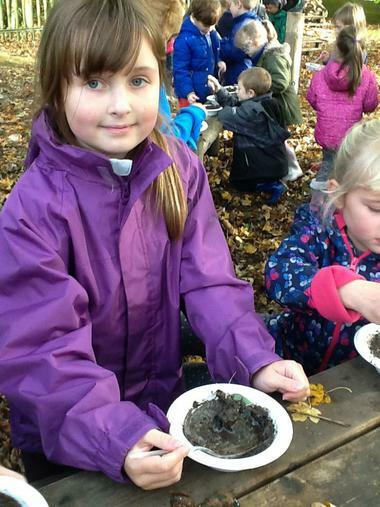 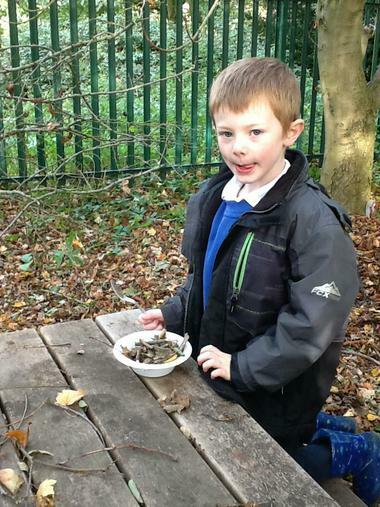 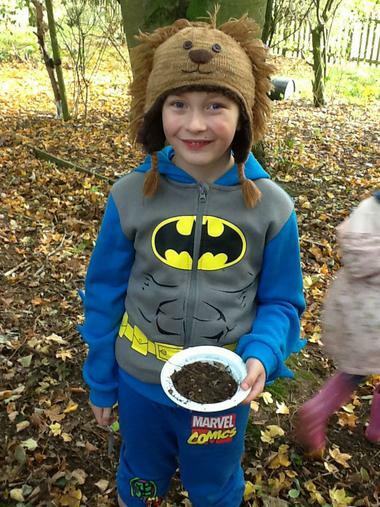 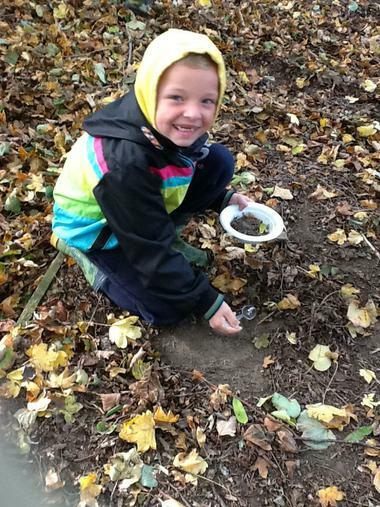 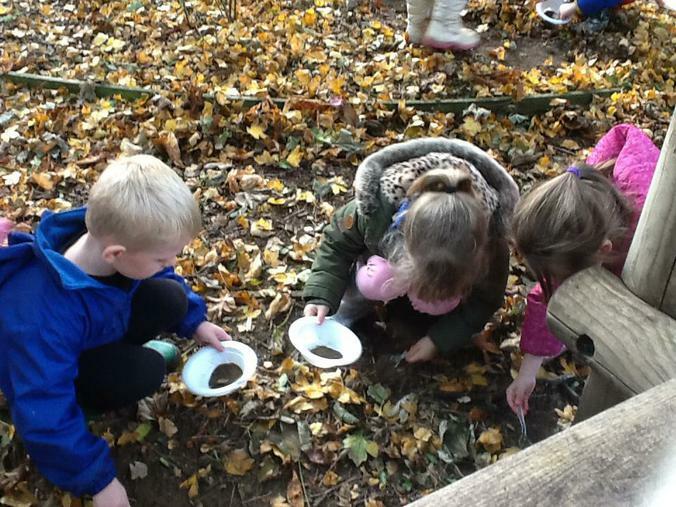 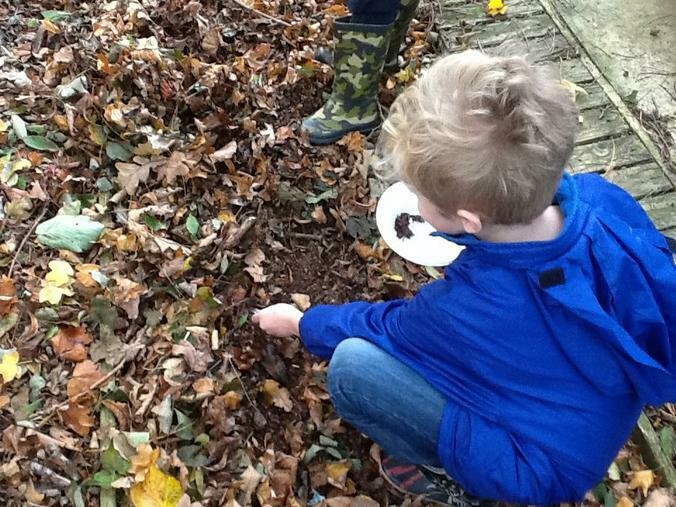 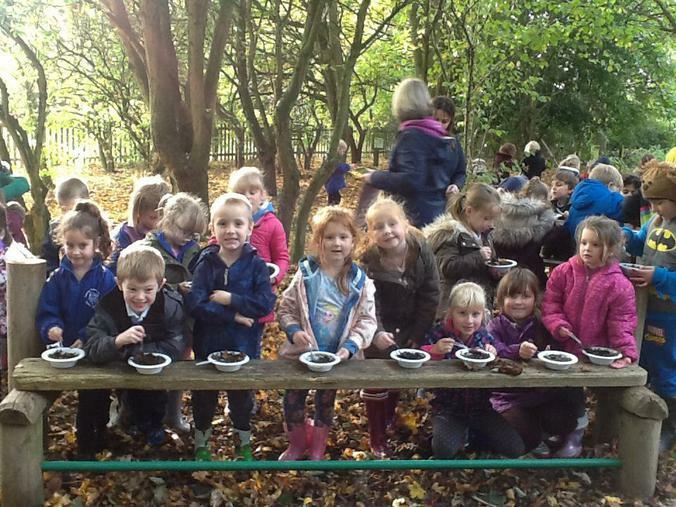 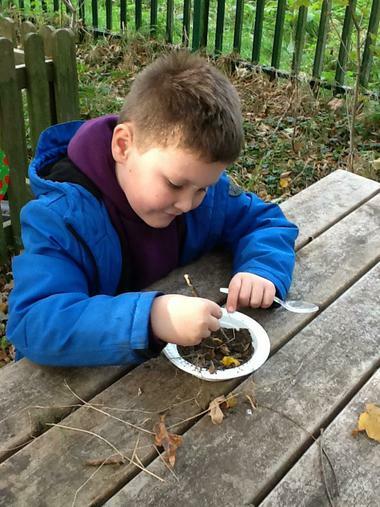 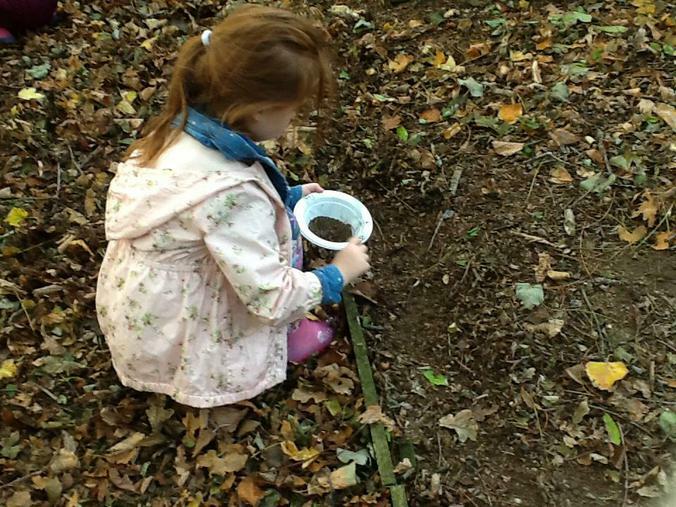 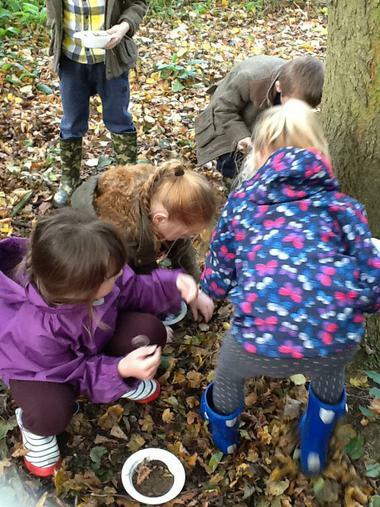 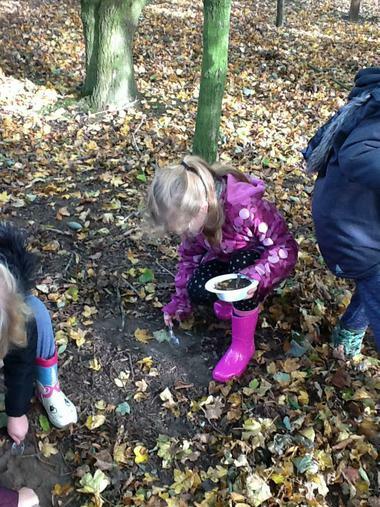 On our first day back after half term we went down to the woodlands in school for a welly walk and to make mud pie. 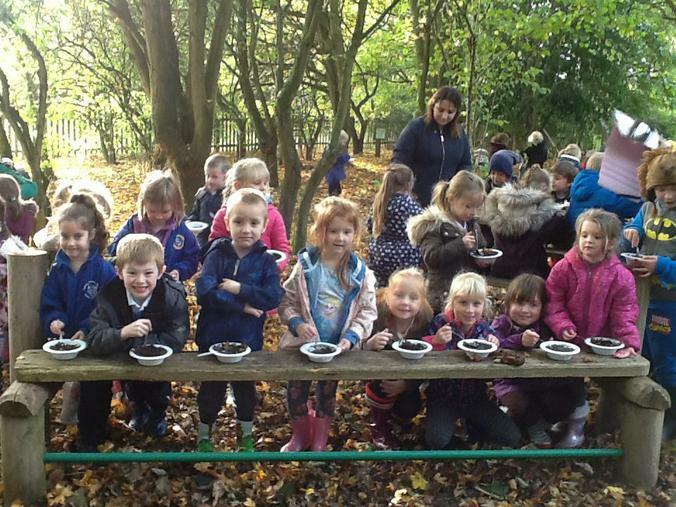 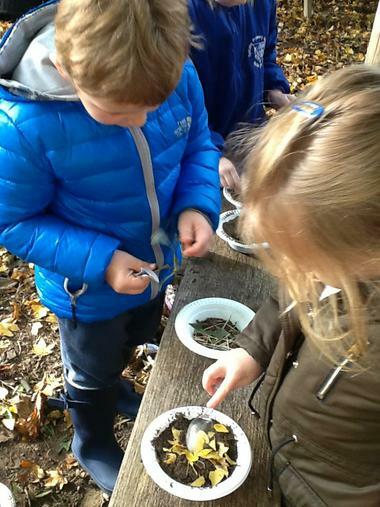 We each had a bowl and spoon and had to see what we could find to go into a mud pie. 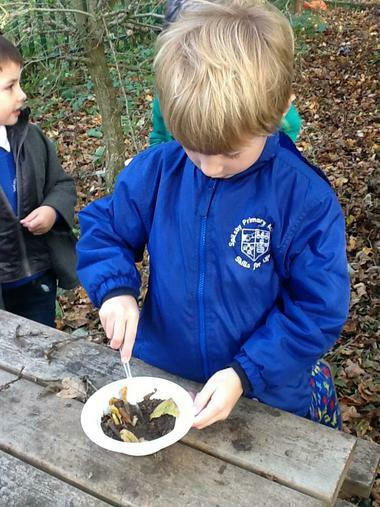 We broke up bits of crunchy sticks and teared leaves up into tiny pieces before collecting dusty mud on our spoons. 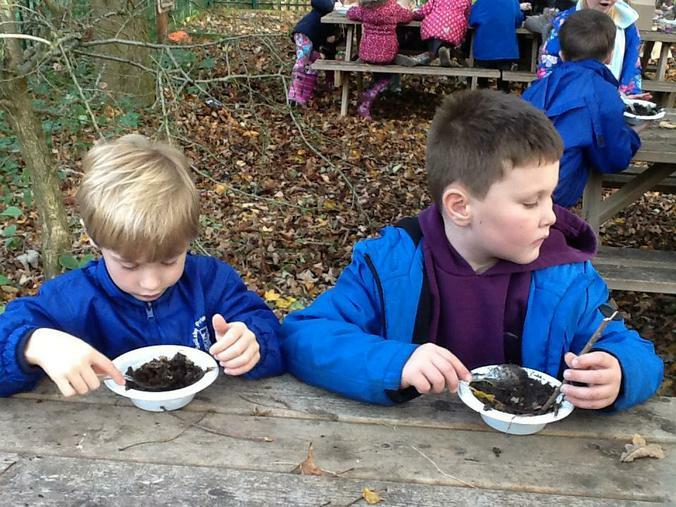 After this we added water and glitter and gave it a good stir!